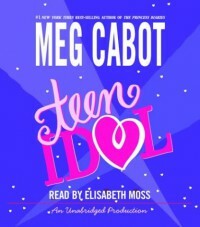 Teen Idol - Elisabeth Moss, Meg Cabot - review - The YA Book Blog! 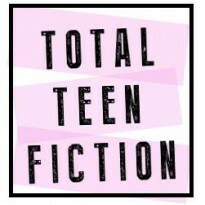 Teen Idol tells the story of Jen who works as an agony aunt for the "Ask Annie" segment of her school paper. Her teachers then entrust her with the knowledge that famous actor Luke Striker will be joining the school as research for his latest film project, and they assign Jen to be his student guide. I'll be honest, it took me a little while to get into the flow of this one. The story starts out with Jen telling lots of anecdote about her school life as a way to introduce us to her fellow characters and setting the scene. I thought this part of the book went on for far too long and soon I was getting slightly impatient and itching to get to a part where something important happens. The story really picks up when Luke Striker arrives at the school. Understandably all the girls go crazy for him so it added a lot of interest to the story. Luke as a character didn't play quite a big a role as I was expecting, but he did surprise me by being a really fascinating character. I loved how he saw the best in Jen and tried to help her out, even if it didn't always go as planned! I really fell in love with the whole idea of the school's Ask Annie project. At the start of each chapter you get a question from someone who's written in to the paper which is then answered by Jen who writes secretly as Annie. I thought it was a great platform for Jen and really helped me as a reader get inside her head. I ended up agreeing with all the advice she gave too! The girl talks sense. I also loved the sarcasm and humour Jen demonstrates as well as her sensitivity. There were other aspects of school life I loved too, like Jen's reluctant involvement in show choir which had me giggling away. There's lots of romance to get stuck into with Jen developing a crush on Luke. There's also the matter of her best friend Scott who is a really nice guy. Then of course there are the many, many girls who want to try and win Luke's affections, as well as Jen's best friend having relationship drama. Jen herself goes on a real journey as a character throughout Teen Idol and we see her change and develop in both good ways and not so good ways. I loved seeing her stand up for herself a bit more and take on some of Luke's advice. Despite it's slow start I did settle into this book and ended up enjoying it, particularly the second half. The ending was really sweet and I liked how all the little bits of the story came together. Unfortunately I didn't really enjoy the audiobook experience of this one. The copy I downloaded from the library wasn't the best quality, but obviously that might have just been a problem on my end so I'm not going to judge it on that. It was more the narration that was a bit of an issue for me. It didn't flow very well and there were pauses in odd place sand it sometimes sounded like the narrator was running out of breath. I did, however, think the narrator had the voice of Jen spot on and it did help bring her character to life. The slightly sarcastic Ask Annie segments at the beginning of each chapter really packed a punch. I just wish that could have carried to the rest of the story.